J.K. Rollings’ Harry Potter series changed the reading life of millions of people. Parents began reading to their children again. I have grown grandchildren who are rereading the series. 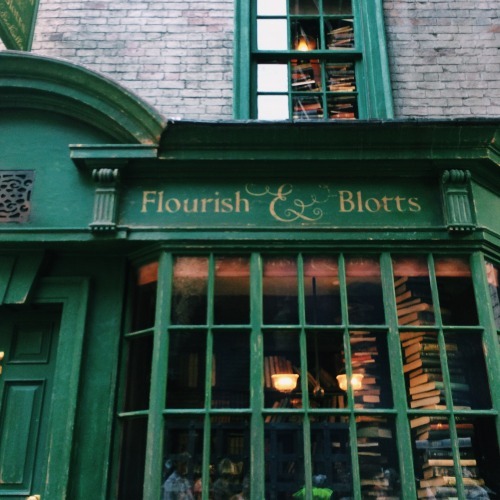 Flourish and Blotts, the bookstore in Harry Potter, is one of the most famous bookshops in literature. 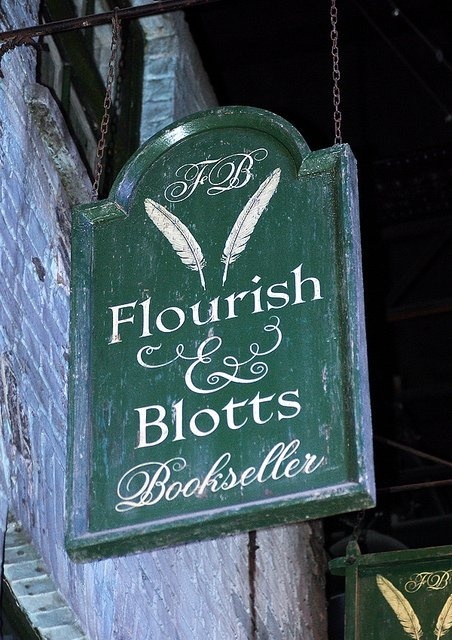 Flourish and Blotts Bookseller is a bookshop on the North Side of Diagon Alley, about halfway down the street on the left-hand side. 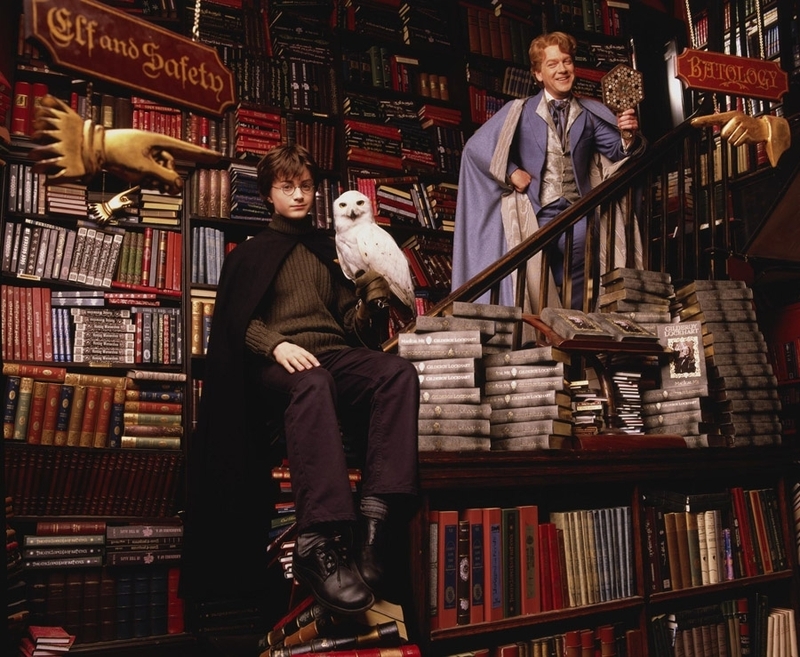 Established in 1454, it is where most Hogwarts students including Harry, Ron, and Hermione, purchase their schoolbooks.The shop is filled with shelves stacked to the ceiling. The bookstore was briefly closed during the summer of 1991 while dealing with an outbreak of bookworms. Flourish & Blotts Booksellers is a destination we all enjoy in our hearts and imaginations. This entry was posted in Ato Z Blog Challenge 2018 and tagged AtoZ Blog Challenge 2018, Flourish & Blotts Bookseller, Harry Potter Series. Bookmark the permalink. LOVED this Stepheny! You nailed your ‘F’! A trip to Diagon Alley – who wouldn’t like to go along! I don’t forget you and delighted we can share the #Challenge through these posts. You should be so proud of your continuing success as an author. I am behind but have a good excuse as I try and finish editing a 3rd novel myself. It doesn’t surprise me that Flourish and Blotts is your kind of store! I marvel at Rawlings imagination to take something we all know well, a bookstore, and turn it into Flourish & Blots. Oh I love that you chose to feature Flourish and Blotts! I did see the show when I went to the Warner Bros. studio tour in London, but sadly you could not go inside. It’s a book lover’s dream! The entire series ushered in a new generation of child readers and their families. I love that Rawlings imagined Flourish & Blots from something we are familiar with but with a whole new meaning. What an amazing mind Rawlings has to reinterpret a bookstore like this! Is it a stage setting or can you go in and look around? A gift shop. You get to look around in it. It is enjoyable all the Harry Potter locations in the Wizarding World at Universal Studios Florida. Would love to see it but will remain satisfied that some grown grandchildren have gotten there. Thank you. When it occurred to me, I laughed out loud. Thank you. Rawling’s imagination is something, isn’t it. This is one of my favorite scenes in the movie! I love the fact that throughout the books Rawlings has reimagined the use of things. I love your theme, and I’m impressed you can come up with so many bookshops. I had a chance to walk down a portion of Diagon Alley at the studio in Leavesden, England where the Harry Potter movies were filmed. 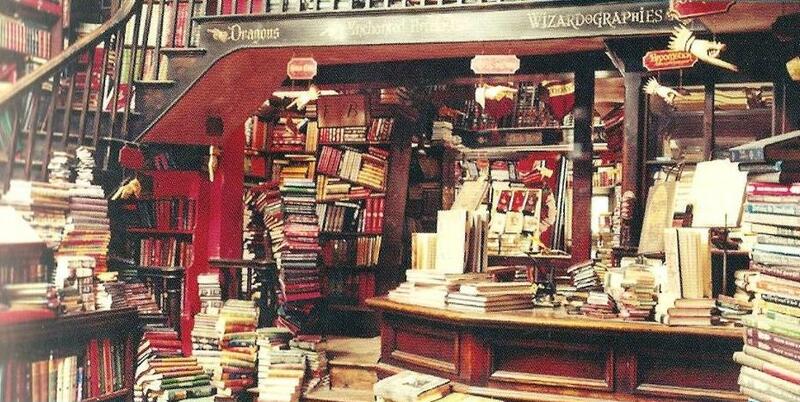 There was no bookshop at the time but Ollivander’s Wand Shop was there. What fun to walk in Harry’s footsteps! I envy you the visit to the studio in Leavesden. I have had some family visit there and everyone, of course, LOVED it. I would enjoy going there! I did fall in love with Harry Potter and enjoyed reading!